Aiming to assure comfortable and safe payments during the festival we provide festival official payment card – Leopolis Jazz Card 2019 with MasterCard® Contactless technology. To get the card contact Alfa-Bank financial consultants in the festival’s Main stage area or apply to any Alfa-Bank branch in Lviv. On the territory of the main Stage of the Festival, all calculations are made only by Leopolis Jazz Card. If you already have a MasterCard card with contactless payment technology, you can also use it. Enjoy marvelous jazz music within Leopolis Jazz Fest 2019. Experience comfortable, fast and easy payments with Leopolis Jazz Card 2019 and MasterCard® Contactless on the festival and beyond, in all Lviv’s merchants. Leopolis Jazz Card is a pre-paid card, created to be used as debit card. You can pay with the card only on the territory of Ukraine. Fast: pay instantly at stores and points of sale equipped with terminals that support MasterCard® Contactless. Easy: before making a payment, make sure that amount shown on the terminal screen matches purchase amount, simply hold card near the terminal – and Your purchase is paid. Secure: purchase amount cannot be debited twice – after payment was processed, the terminal will emit a beep and turn off. Moreover, You’re always in possession of card and don’t have to hand it over to the cashier when making a payment. Keep all funding/payment transaction receipts at least till the end of the Leopolis Jazz Fest 2019. If your card was lost or stolen, it CANNOT BE restored. In that case, immediately block the card by calling our hotline at: 3344 (from any mobile number in Ukraine) or 044-494-01-01 (calls are billed according to your telecommunications operator’s rates). You are strongly advised to write down your card number. Your card has an individual PIN. Memorize it and never disclose to third parties. Permitted payment transactions volume: UAH 48 000 per calendar year. Permitted withdrawal volume/day: UAH 500. Permitted withdrawal volume/week: UAH 4000. Permitted card balance: max UAH 14 000. Permitted volume of one card funding transaction on the territory of the festival: max UAH 5000. 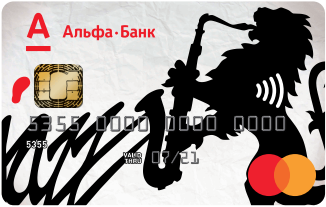 Leopolis Jazz Cardis a pre-paid card, which you will be able to use after the end of the festival as a standard payment card for paying for any purchases at any merchants and cash withdrawal on the territory of Ukraine. When making purchases in the festival’s Main stage area, simply hold card near the terminal – and your purchase is paid. When making purchases exceeding UAH 400 in the festival’s Main stage area, the PIN is required. Out of the festival’s Main stage area the PIN is required for purchases exceeding UAH 100. Fund Leopolis Jazz Card 2019 for any amount. Pay for any purchases at any merchants on the territory of Ukraine. Withdraw cash at any ATM that accepts MasterCard cards. By contacting Leopolis Jazz Fest 2019 financial consultants in the Main Stage area. By Your Leopolis Jazz Card at Alfa-Bank ATMs with cash-in function. By money transfer from any Alfa-Bank card to Your Leopolis Jazz Card at any ATM. By cards from other banks with MasterCard MoneySendTM service. By contacting Leopolis Jazz Fest 2019 financial consultants in the Main Stage area. At other banks ATMs networks.